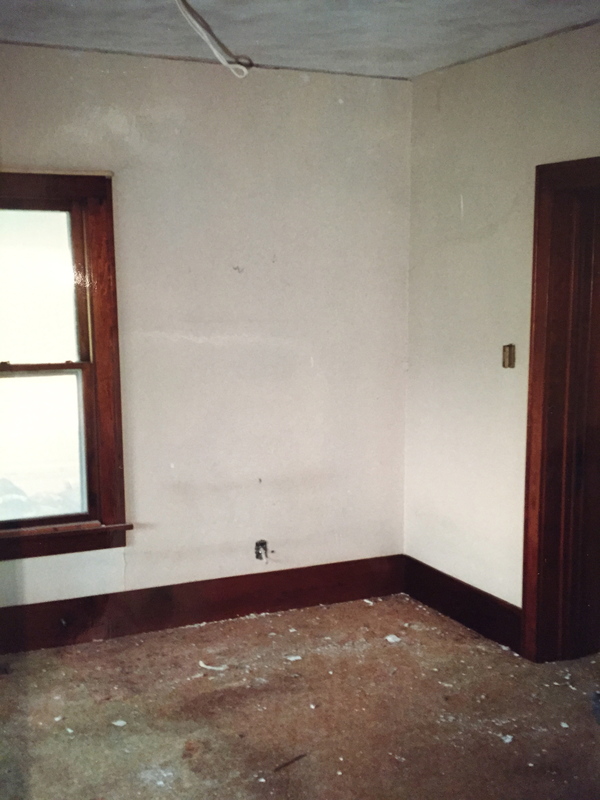 When I was 13, I started dreaming about renovating old buildings. At the time, I had my eye on a hotel in McCloud, CA. It was in poor shape, but still carried the traces of grandeur from its hay day in this small mill town. It was eventually renovated (NOT by me) and turned into the charming hotel found here. 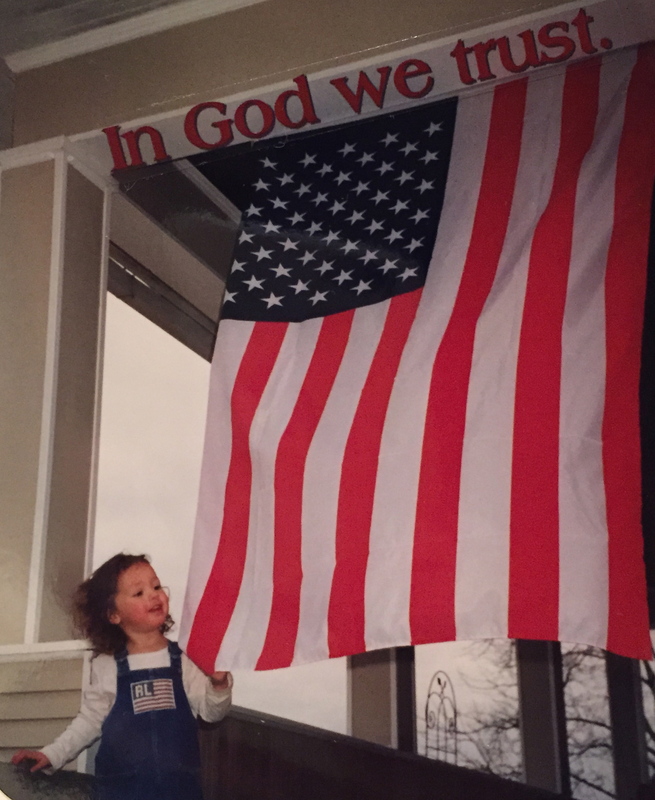 When my husband finished grad school and got a job in his hometown, we started the search for a place to live. We didn’t need to look far. There was an abandoned farmhouse that needed some love less than a mile from the rest of his family. We were about to have our first baby and for some reason it didn’t even cross my mind that we were taking on a HUGE project. 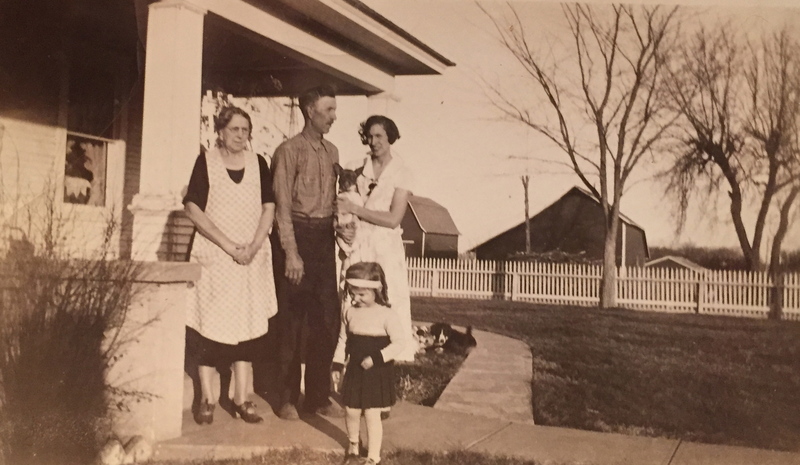 I was ready to start my farm, have a baby and restore an 80 year old home – all at the same time. 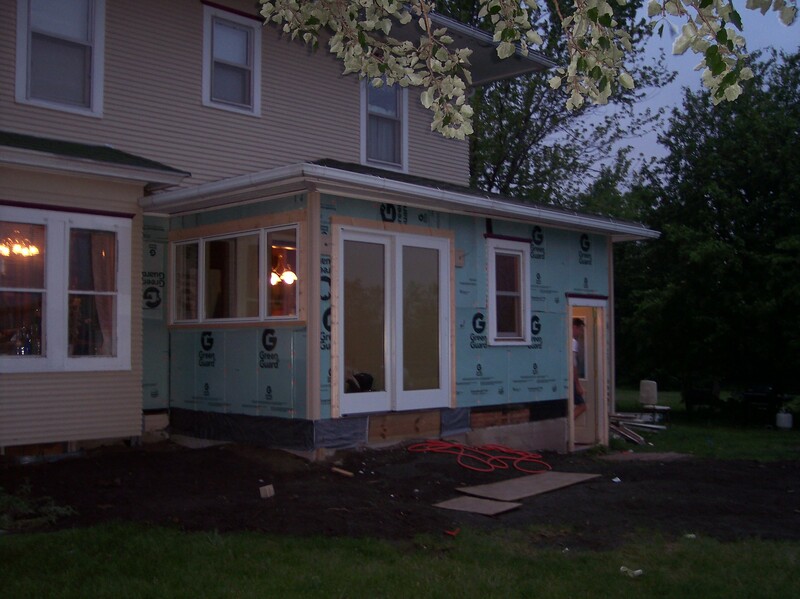 The banker came out to look over our project, deemed us certifiable, and gave us the loan to pursue our dreams. The place really was falling down. Both porches were hanging on for dear life, the plumbing hadn’t been used in 7 years (pipes broke on the first flush), the wiring was original (dangerous), the ceilings were cracking, the paint was peeling, the roof had seen better days… I could go on, but you get the idea. However, under the nasty carpet was beautiful hardwood floors, and none of the woodwork in the home had ever been painted. 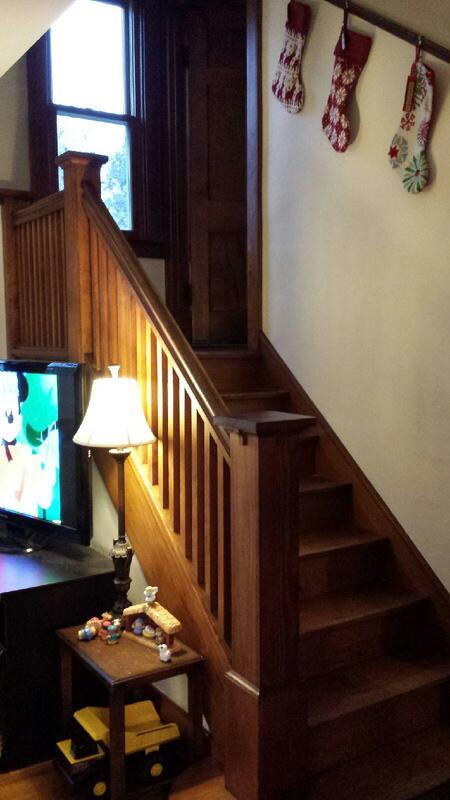 The charm of this old house was not lost on us. 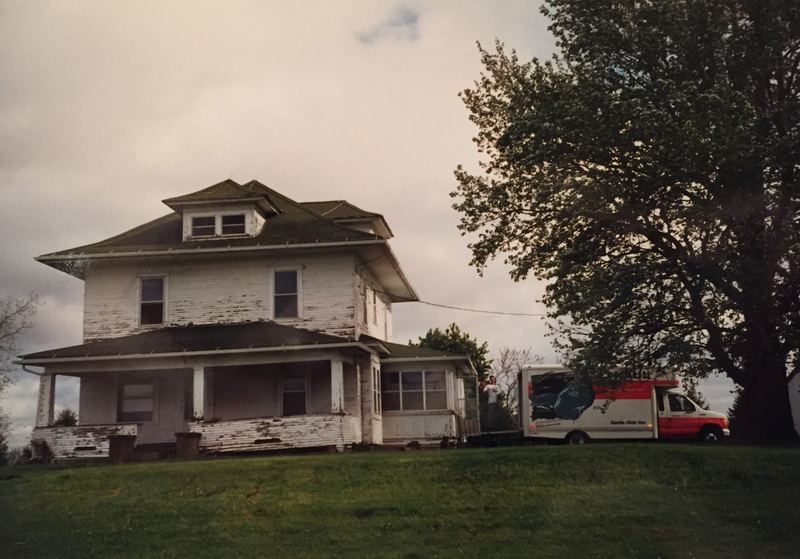 The challenge of returning this structure to its former glory called out to my soul and we spent the next 7 years turning that old farmhouse into a home. Since moving to Hawaii 7 years ago, my sister-in-law has been taking care of the house and continuing the renovations. Interestingly, she started talking about living in this house when she was 13. Maybe this home is just meant to fulfill certain childhood dreams. I have before and after pictures below. The current occupant has certainly added a modern (and improved) look to the place. The entire porch needed to be removed and rebuilt. We moved the entrance from the front to the side making access much more functional. 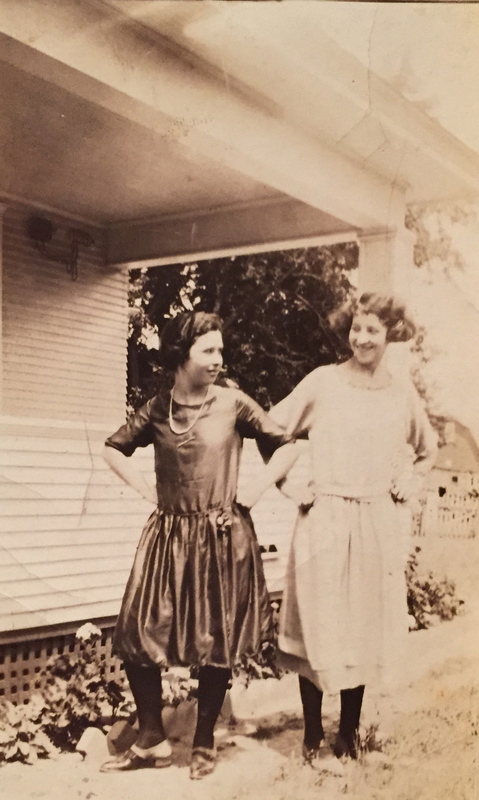 A few old photos (below) found in the attic showing the Zillmers (original owners) on the front porch. 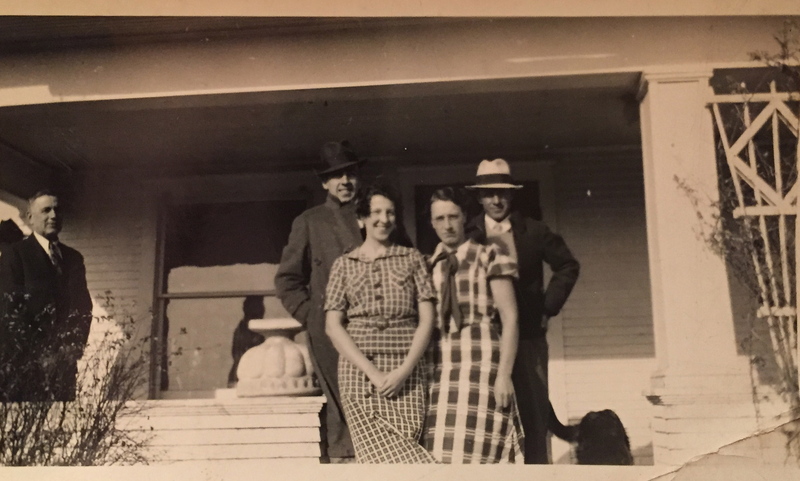 Everett, Irene, Virginia, Helen, and their parents. 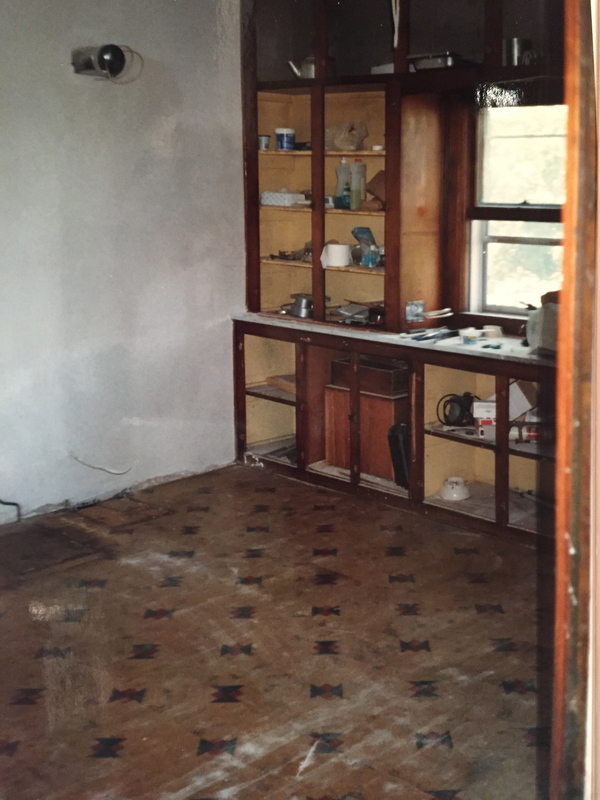 The kitchen (above) was given the most dramatic renovation. 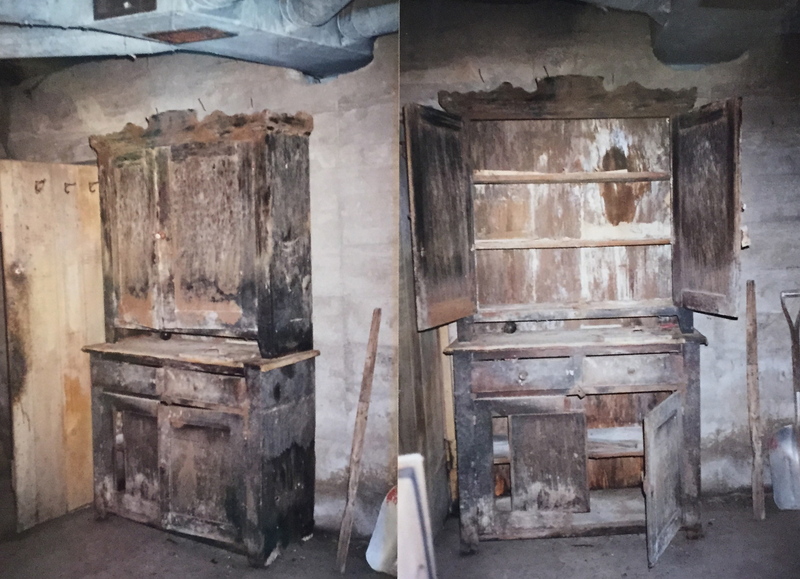 The cabinets were all stripped of 80 years of grease and refinished to their original state. 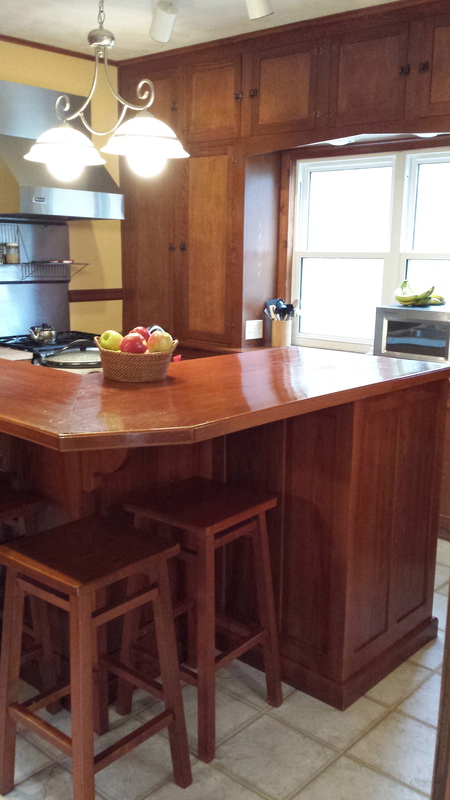 An island was added along with some great appliances that I still miss every time I bake. All I can say is – a heat lamp on your stove’s backsplash is a beautiful thing. 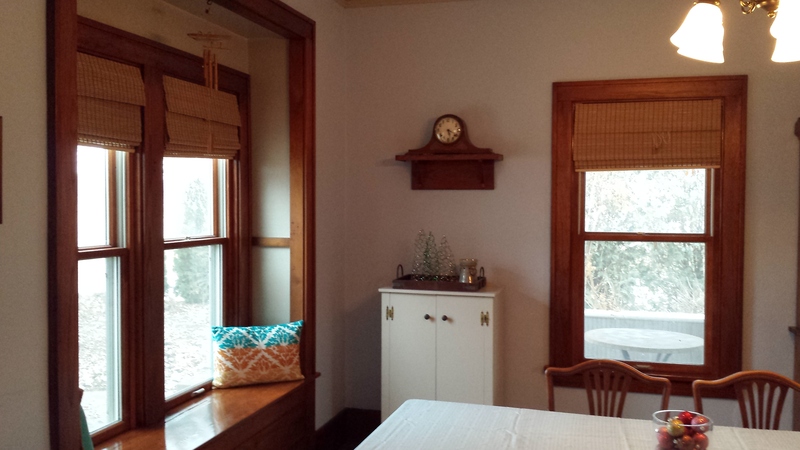 The dining room (above) has gone through several color changes in the last 15 years. The cabinet in the corner was found in the basement and was thought to be un-salvagable (see photo below). However, a dear friend and woodworker asked to have it to use as a template for a new piece. It seemed like a great deal because he would haul it out for free. On our 4th anniversary he rolled into the yard with the original piece completely restored as a gift. Toby passed in 2004 it was estimated that he was 22 years old. A very loyal friend. 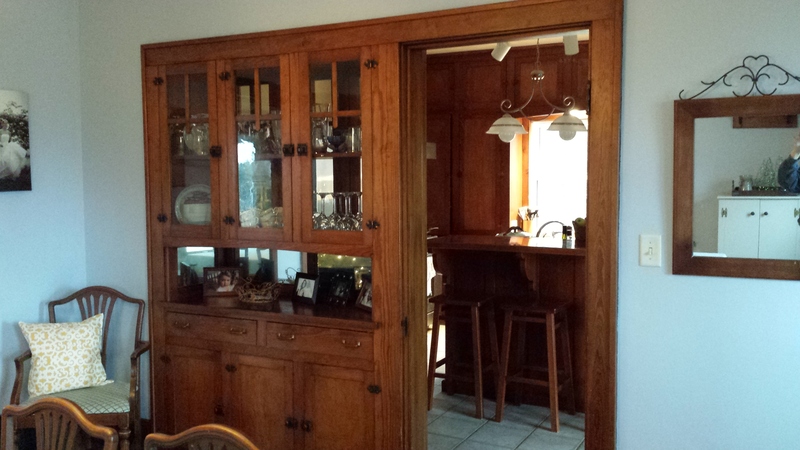 More dining room shots including one of the 2 sided cabinet that goes through to the kitchen. 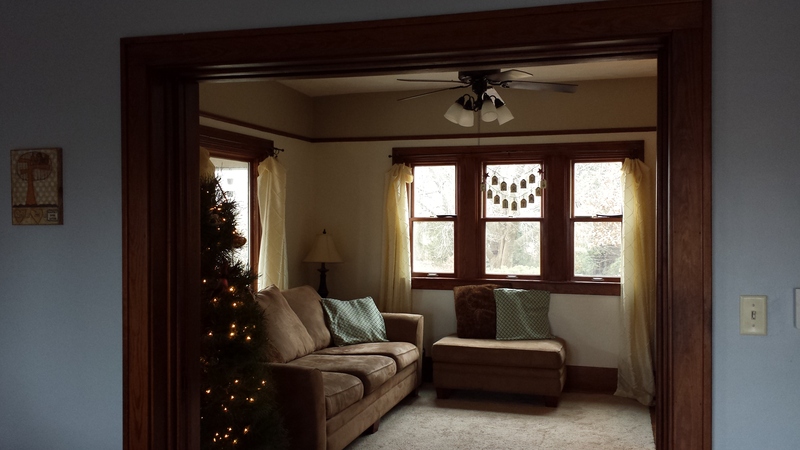 The living room with a beautiful triple window and arts and crafts stairs. 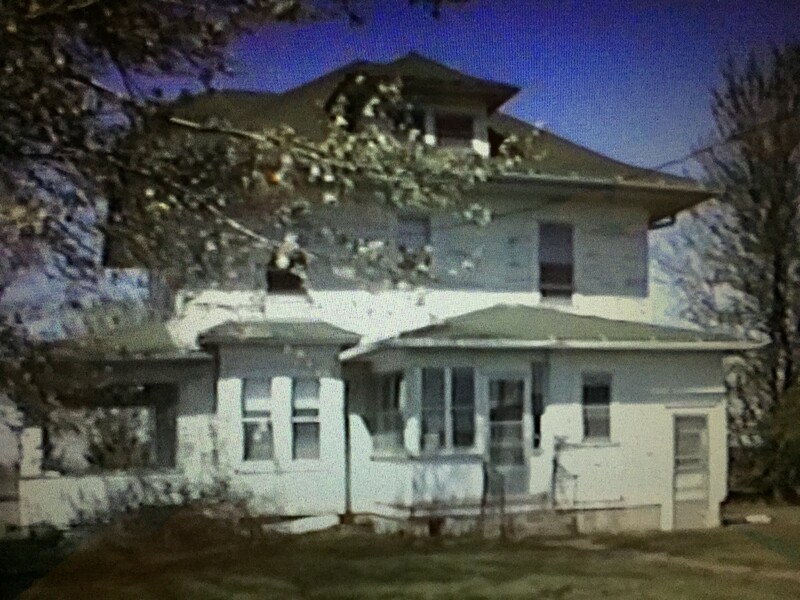 The side porch had no foundation, was falling off of the house, was freezing cold in winter, and generally of not much use. 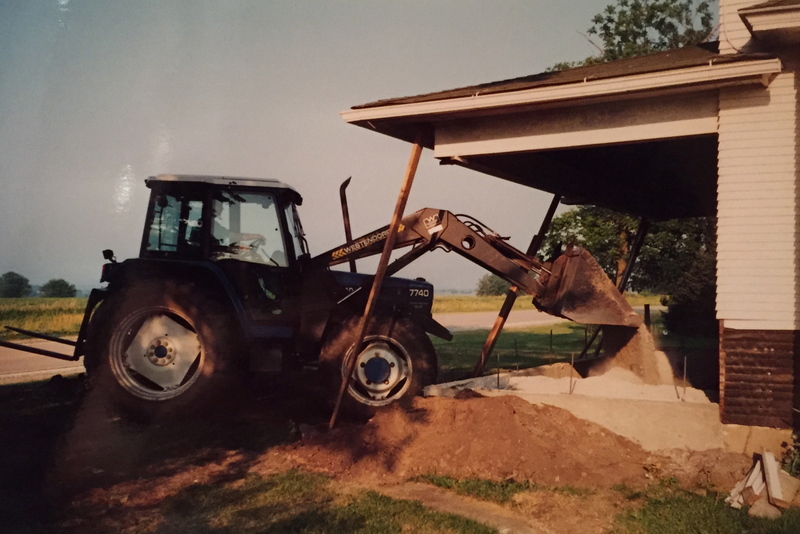 We had a solid foundation built underneath that front left corner and turned it into an insulated sunroom directly open to the dining room and kitchen. 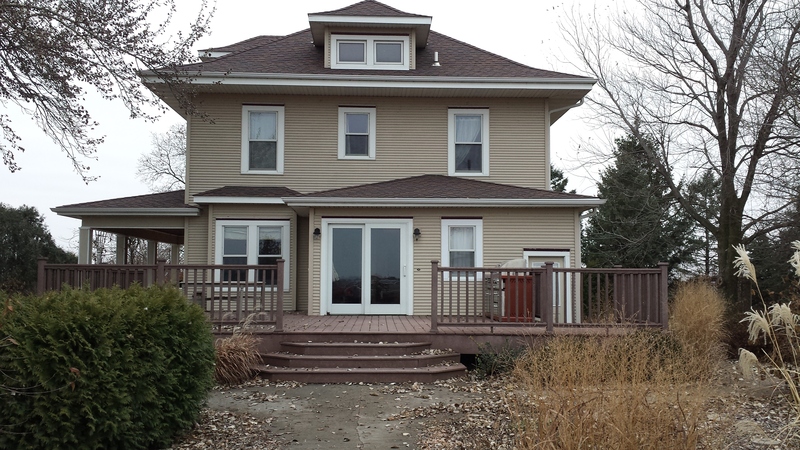 The roof, windows, and siding were all replaced during this project. We got to the stage above and the builder discovered that the width of siding originally used on the house was impossible to find. 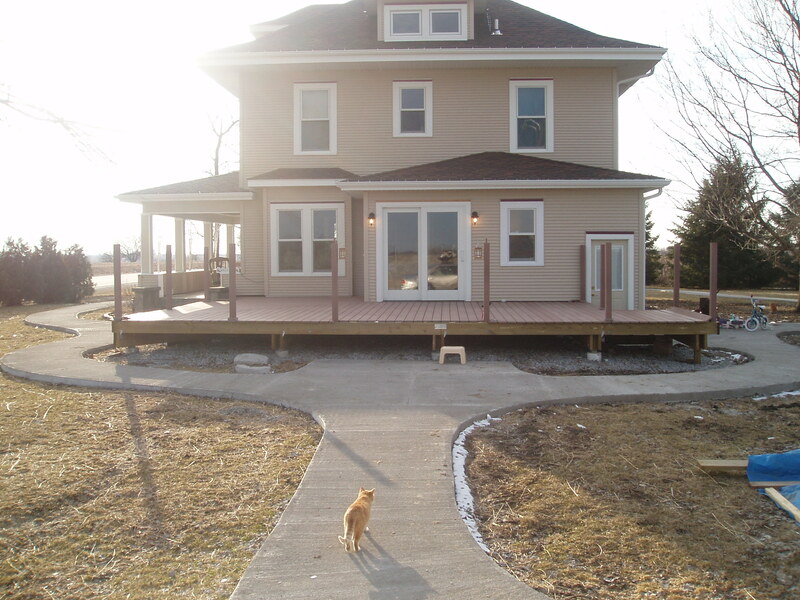 It was less expensive to put siding on the entire home than to have custom cut wood siding made for that front porch area. It made the house much more energy efficient in the end. The final step was landscaping. Dave built this amazing deck that seats a large crowd, or his family. The walkway is a 1/7th mile loop that allowed the kids to ride bikes without going onto the busy road out front. For the landscaping around the walkway we planted over 2000 specimens, built a circular patio, a pond with waterfall, 2 berms, and a chess set with 3 foot pieces. The 20’x15′ Mojito patch didn’t hurt either. 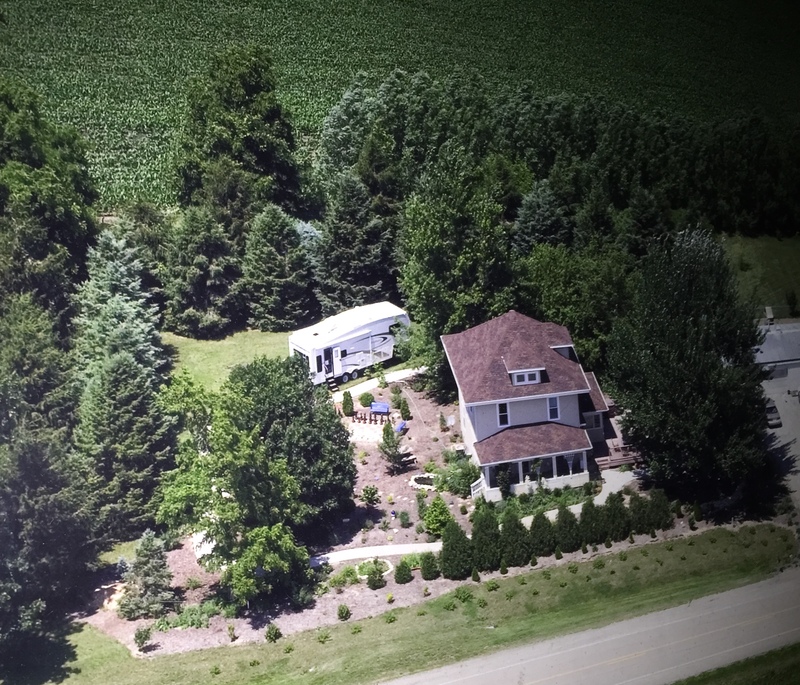 This project is now turned over to family and they continue to run the fruit farm and work on the never ending ‘To Do’ list that comes with an old home. It was a great experience, but probably not one I would repeat – at least not while living in the structure, having 3 children and starting a business at the same time. 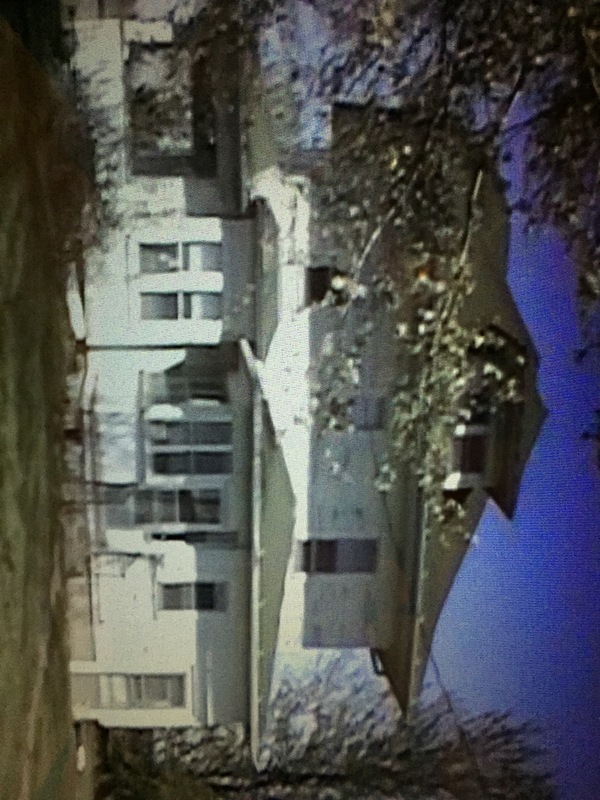 Tags: Arts and Crafts Architecture, Farm, Iowa, Iowa Farm, Old Farm House, porch, rebuilt porches, Restoration. Bookmark the permalink. Previous post ← Do Organic Growers Use ‘Hazmat’ Suits? That is just beautiful! What a warm and cozy interior! Amazing! Hard work really paid off! What a cool story – except the part about the milk! Great work on the house! Thanks. 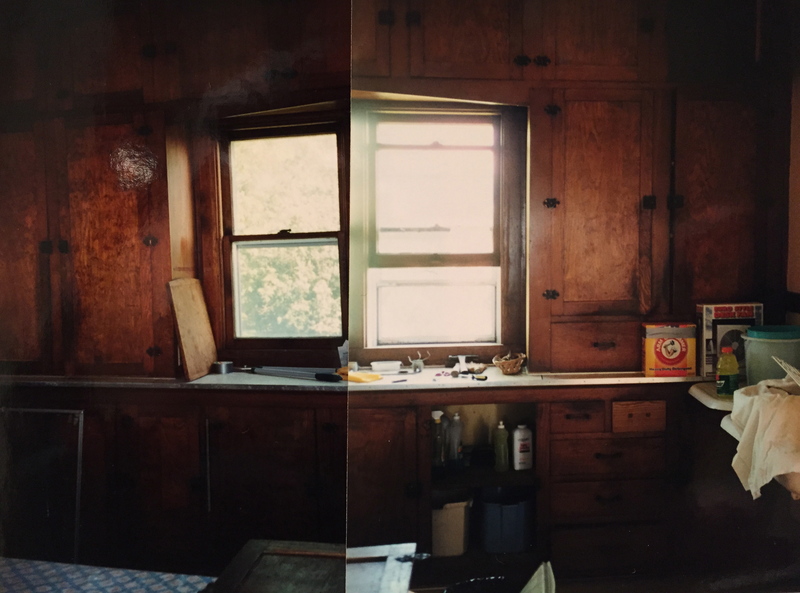 It was fun and exhausting to restore that farmhouse. It’s nice to go back and visit my sister-in-law and her family as they make the space their own. I love this story. Even the milk on the table part, it adds to the charm. And the restoration of that old hutch. Magnificent! What fun that you have some photos of the original owners.